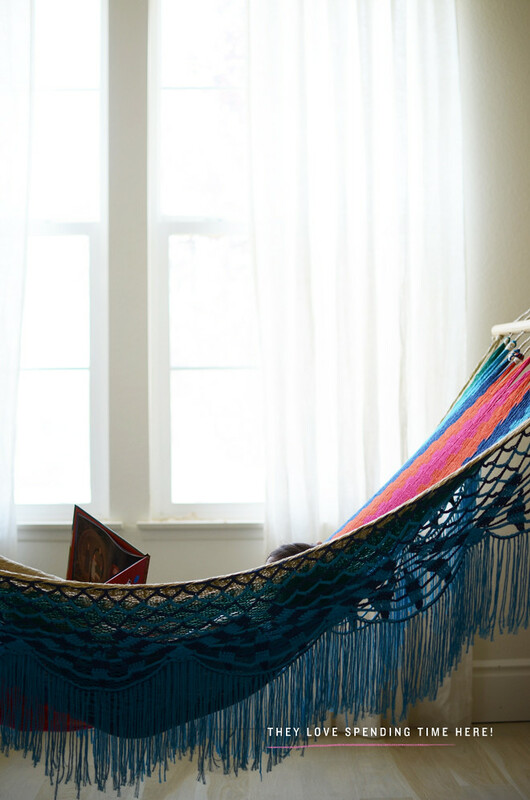 One of the things we have been loving this summer is our indoor hammock. I actually bought this hammock over two years ago and have been patiently waiting to put it up, and at the beginning of Summer, Ben finally got it up. I debated putting it up outside, but an indoor one just sounded kind of dreamy and so inside it went! The girls absolutely love it! Most afternoons you will find one (or two) of them swinging back and forth. Sometimes it’s with a book in hand and sometimes not. When evenings come and the girls are in bed, I like to have my turn in the hammock and just relax. There is a couch across from it, so sometimes Ben will sit there and we’ll chat. One night, our power went out for a few hours, so I just opened up the windows, lit some candles, and quietly read while lying in the hammock. It was such a peaceful evening. Those types of evenings need to happen here more often. It hangs from a very sturdy clasp and chain that are hooked onto some really sturdy eye bolts. Ben found the stud in the wall and that’s where the eye bolts went in. It is very secure and as long as it is being used properly, there are no problems. My only qualm is that the hanging fringe comes off easily, so I am always having to crochet it back on. Other than that, it’s a pretty dreamy place to relax and it’s one of our new favorite spots in the house. 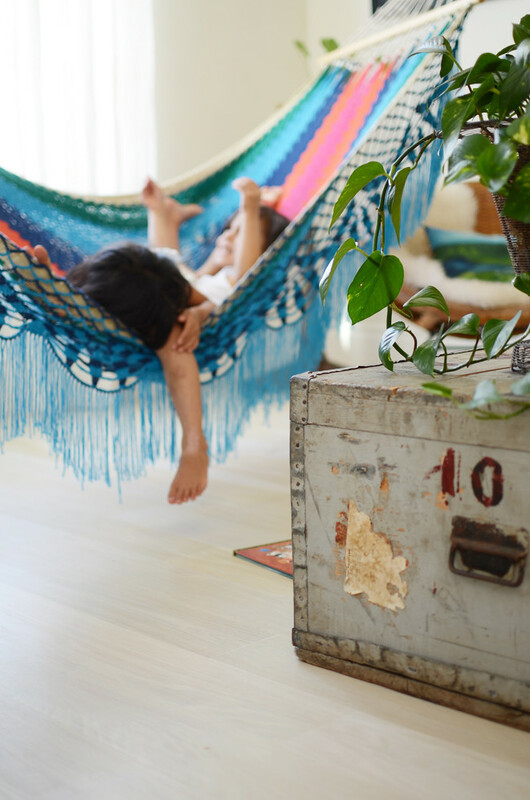 Our indoor hammock is a spot in our house that definitely makes us smile. What spot in your home makes you smile? Ooooooh!!! I love your hammock!!!! It´s lovely and it has an incredible color!!! That hammock looks like indoor perfection. Better yet….no bugs to contend with. Happy Summer!! Sounds like the perfect spot to spend a peaceful afternoon! i really really love that hammock! If I had one of those inside (or outside) my house, I will never ever get up. EVER. I will just lay there all day reading…esp. now that I’ve discovered how easy it is to buy kindle books. 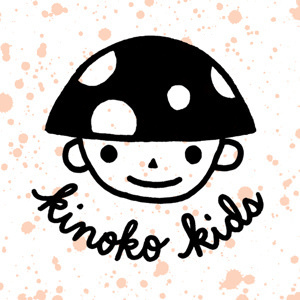 please check out our store! I’d love an indoor hammock. That looks awesome. Please visit our etsy store! This is so fun! I would have loved this when I was younger. I would still love this! 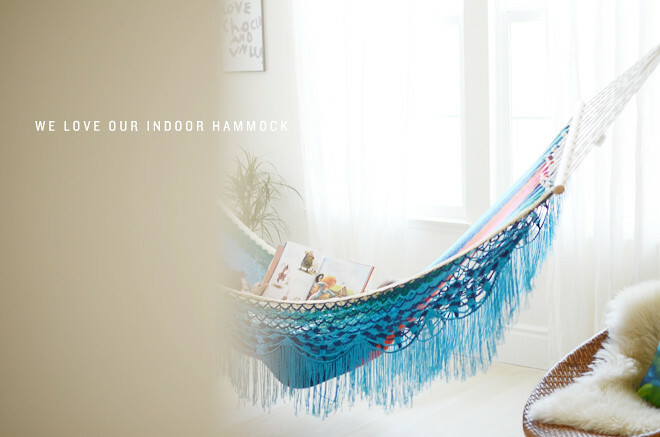 I’ve never seen an indoor hammock but now I’m dying to put one in our house! Anyway I love the indoor hammock. I think it is unique and comfy and so sweet to see the girls hanging out on it together! I wish I had the space to have an indoor hammock for myself! I really want to get a hammock and have looked at lots of pictures of indoor swings and hanging beds, so this would be a great compromise! I love the colors and design – where did you get it? you can visit out store! hi lisa! i bought it from anthro two years ago. I know you wrote you bought it two years ago, but is it a store that makes them or would still carry them? We need one! we have a hammock store on etsy, please visit us! Of course anthro! It’s so marvelous! 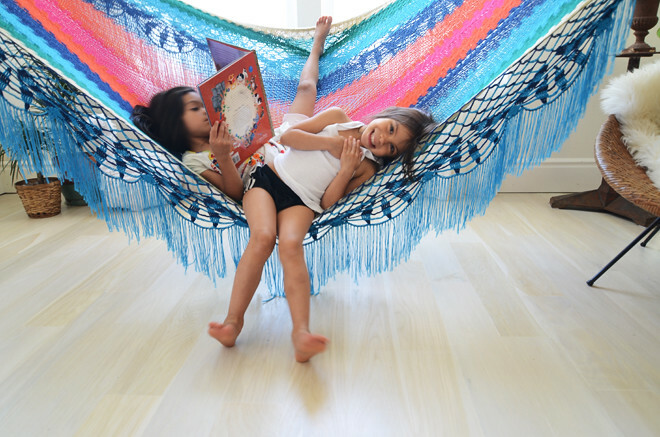 Just found this fun post and would love a colorful hammock in our home too. Any suggestions as to where we can find one similar? Please let me know when you have a chance. Thanks! This is a beautiful room! saw this on a beautiful mess blog. Your hammock is to die for!! Love the colors and your girls look so cozy in it :). Enjoy!! This is awesome! We’ve been stuck on needing a new couch for our front room which is quite small and a lot of convention furniture just isn’t us or will fit the space. I think this may be exactly what we need to do. Etsy here I come. I would totally love to get a hammock to put inside, if I had the room. Hello, it’s an increadible hammock. QouldnYoubtell me please – is it really Almanza? It is, but I don’t recommend getting a hammock from them. I have had a few readers purchase one from them, but never received it, and it took a really long time for Almanza to reply back. Apparently, they had terrible customer service. I would love to know where the trunk that’s being used as a coffee table was purchased? Could you provide a website address or link or store name? It was a from the flea market. 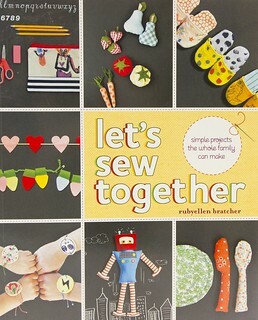 From crafts to parenting & everything else in between. Cakies celebrates family, style, abounding grace, and living life creatively. Say hello to a lovely shop named Addiah. Virginia, the owner of the shop, says Addiah is derived from a Hebrew name meaning adornment or ornament from God, which she found to be perfectly fitting as she sells lovely things that adorn the home and body. Virginia is a believer and advocate in loving what you own and encouraging others to surround themselves with that which they love. She believes the things in our lives should be beautiful, encourage us to live well, and inspire us. 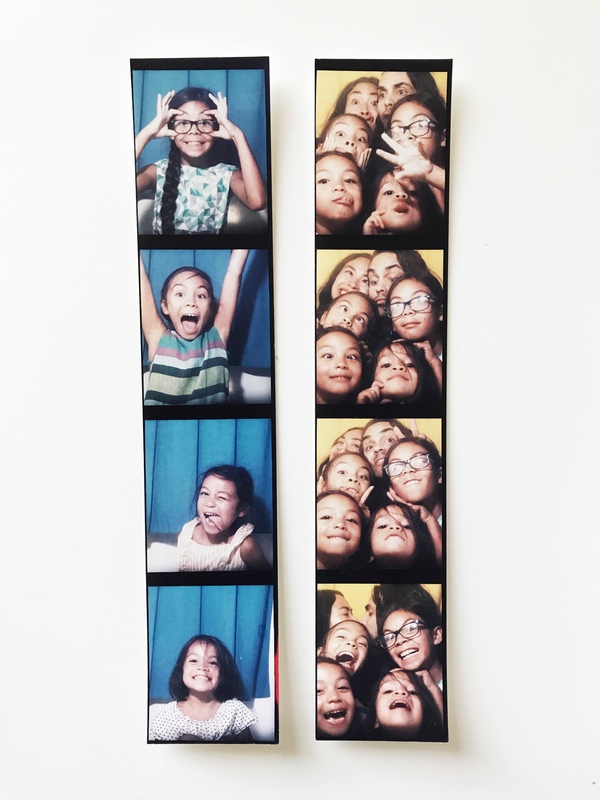 She started Addiah after she graduated from college and as time went on, she became increasingly more passionate about finding and celebrating awesome designs and the people making them. She wants to use her shop as a way to encourage people to live their lives well and be surrounded with beauty. Some of her personal favorites in the shop are the wandering robe, cascade necklace, the postmug, and these simple but stunning dog leashes. I have a few of my own favorites which include the lace necklace, the Sky High, and these hand woven napkins. 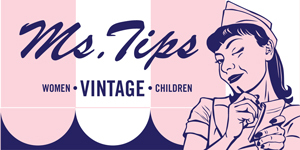 One of you can win a $50 gift certificate to Addiah. You can get a little something for yourself or maybe a gift for someone you love and all have you have to do to enter is… 1. Tell me what you would pick from Addiah. 2. Blog, tweet, or facebook about this giveaway and leave separate comments to the links here. Now, if you do all of the things mentioned above, you might even be able to up your chances by getting your name in 4 times (just remember to leave separate comments for each)! Fantastic, right? The giveaway will end at 8am PST on Monday, December 3rd and the winner will be announced via twitter (follow me on twitter here) on Monday. Good luck!